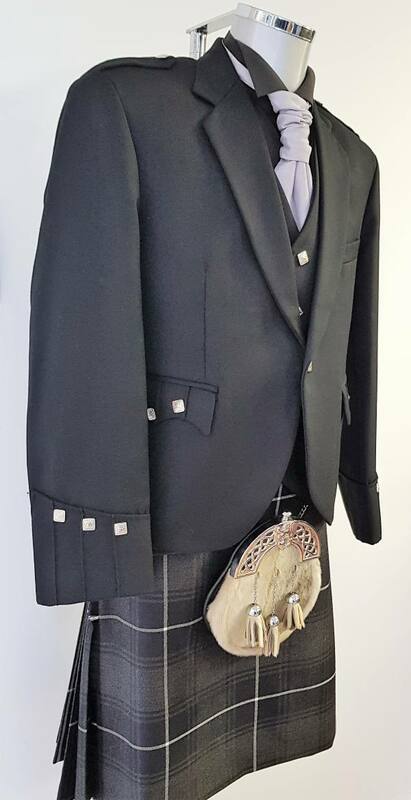 8 yard, 16oz handmade wool kilt. 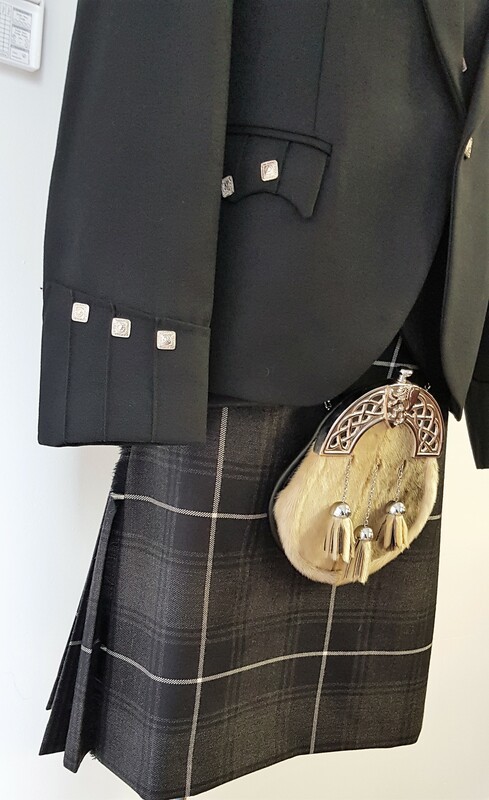 The Kilt has leather straps for adjustment of approx 2” either way. 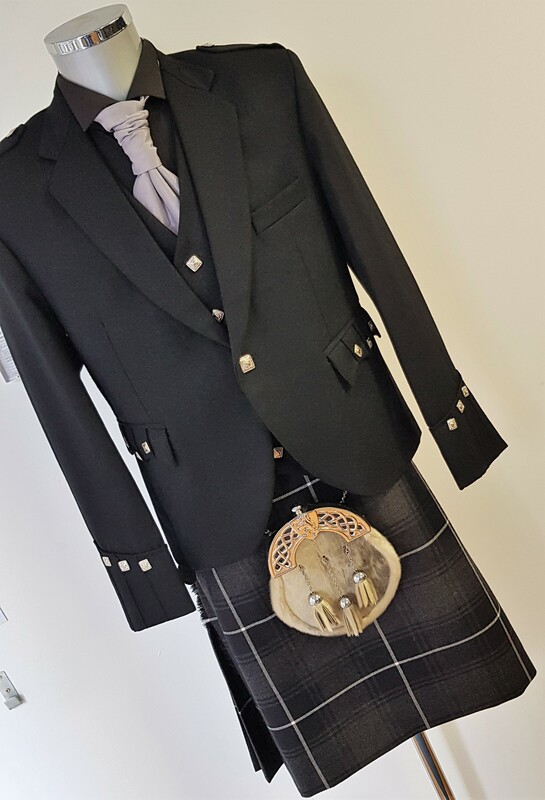 A FULLY lined handmade kilt. N.B. 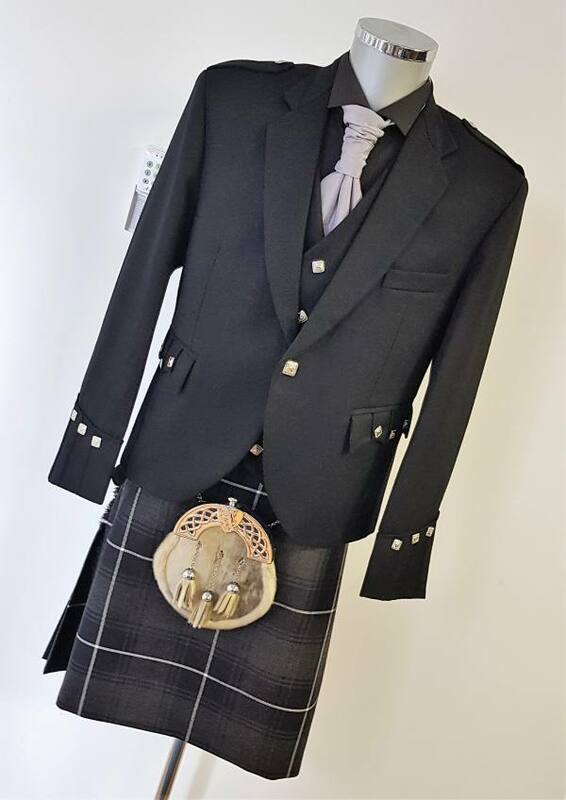 To measure yourself for kilt waist size, simply take a tape around your middle at 1″ above the line of the belly button, and have it as tight or as loose as you would want to wear it. 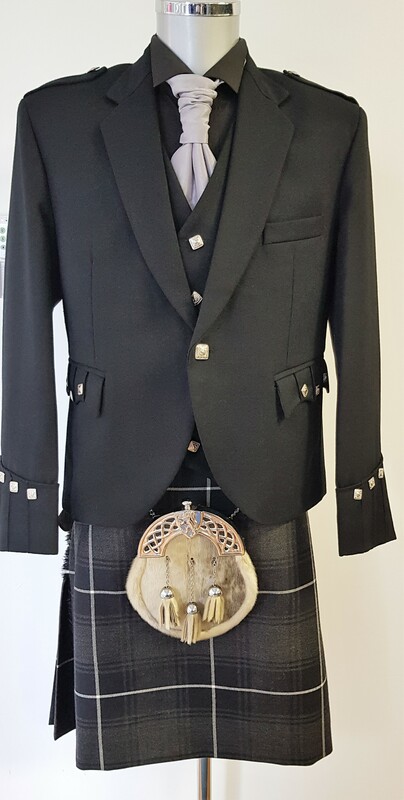 That’s your Kilt waist size, it can vary somewhat from pants size. 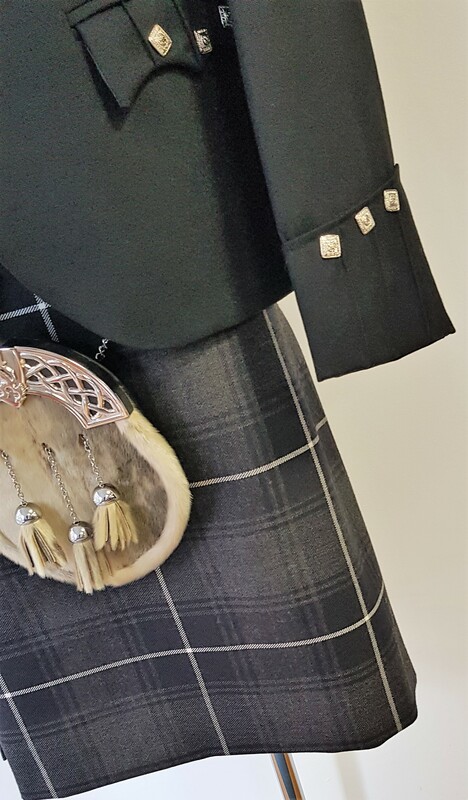 To measure for your drop or length, take the tape again just 1″ above the line of the belly button to the middle of the knee.